To support the 2023 Festival which the Provincial Grand Master will launch in January 2018, The Province of Devonshire, with the kind support and sponsorship of DARTMOOR BREWERY, are offering for sale, two of the Breweries finest Ales to our members (and friends) at a competitive rate, so that they can support the 2023 Festival whilst enjoying a bottle of Ale brewed in our Province. 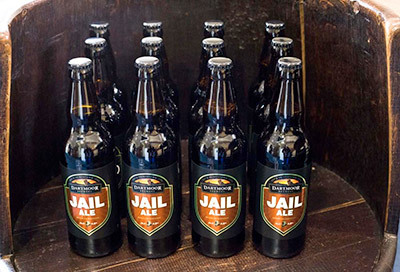 The award winning Ales on offer will be “Jail Ale” (4.8%), a full bodied deep golden brown beer with a well rounded flavour and a rich Moorish taste, and “Legend” (4.4%) a classic cask conditioned beer, smooth, full flavoured and balanced with a crispy malt finish, for just £24.00 per pack (12 x 500ml bottles). 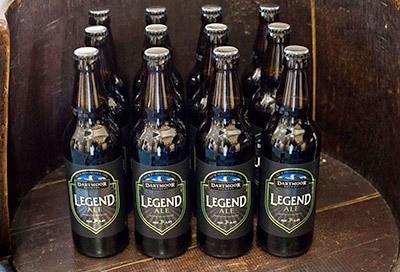 Each pack of “Jail Ale” or “Legend” purchased includes a donation to the 2023 Festival and a further donation will also be made by the Brewery and it still only costs £2.00 a bottle - bargain! You can download an order form using the link at the bottom of this article, which can be returned with full remittance to the address on the order form. Your order will be available for collection from your Lodge building or various collection points around the Province. The Festival Committee look forward to your support. Can you offer your services to Festival Friends? Perhaps you can assist with local delivery of Festival Ales, or perhaps you are great at organising events, or you have some good ideas for fund raising. If you would like to help then please check out our Festival Friends page for details.